This topic contains 3 replies, has 2 voices, and was last updated by jlsebastian 2 years, 11 months ago. 1. How can I declare a method? 2. 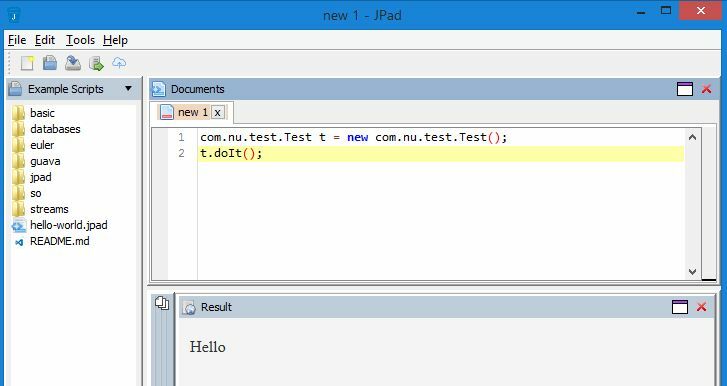 How to add a custom jar file and import it Jpad? 2. Custom jar files is something we are working on, it will be in the next release, which should occur this week. I intend to add a much better method in future. I’m very interested to hear feedback and ideas on how you think this should work? 5. System adds the jar file in the classpath. This reply was modified 2 years, 11 months ago by jlsebastian.